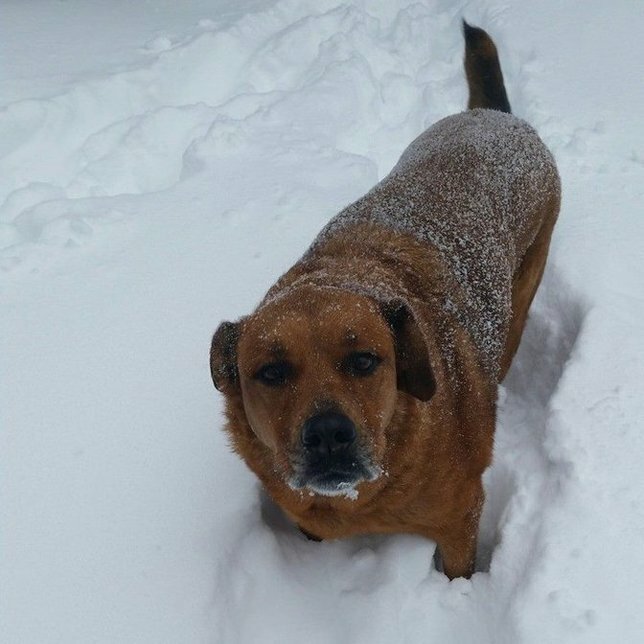 A local Port Jeff Station pup enjoying the snow safely with her owner. Photo by: Joshua Nra Halberstadt, LongIsland.com Reader. Nassau County, NY - February 12th, 2016 - With a Wind Chill Advisory in effect from 4 PM Saturday afternoon until 12 PM Sunday afternoon, the Nassau County SPCA is asking all pet owners to limit their pet's time outdoors and to bring pets that are normally kept outdoors inside, this includes outdoor cats. Temperatures predicted to plummet zero and below this weekend, wind chill values will be as low 20 to 25 below zero. creating dangerous, potentially deadly conditions outside. Prolonged exposure to cold results in a drop in pet's body temperature and hypothermia. Frostbite can also occur in pets to the parts that are the most exposed and least protected by fur. It often accompanies hypothermia. Frostbite tends to involve the tail, ear tips, pads of the feet, and other exposed areas. Think about how humans would behave tends to be a good rule. If you wouldn't want to go out and expose ourselves for a long period of time to the cold because of the risk for hypothermia and frostbite, we wouldn't want to do that to our animals, right! So please protect your pet during this cold snap! To Report Animal Cruelty to the Nassau County SPCA, call 516-THE-SPCA, email crueltystoppers@ncspca.us or use their online form. The NCSPCA receives no public funding, is in no way affiliated with, a subdivision of or funded by any other local, state or national organization and every contribution, large or small, helps to provide the critical care needed to help homeless, abused and neglected animals in Nassau County. The continued success of each program relies entirely on donations. No money given to any other spca organization aids or benefits the NCSPCA. Your generous contribution will help the NCSPCA in all of its efforts. Subject: LongIsland.com - Your Name sent you Article details of "Nassau County SPCA Reminds Pet Owners that Pets Need Extra Protection During the Extreme Cold Weather Expected This Weekend"